Thirsty Pilgrim: Bastogne, and Beer. My memory of the Bastogne Historical Center before it was refurbished is probably unfair. I remember it as a dusty collection of wartime junk and an old-timey fake news reel or two to put you in the mood. Surely there was more to it than that. My clearest memory is an old bottle of Fort Pitt Pilsner that would have been some GI's beer ration. The center reopened, after a much needed refurbishment, in March 2014 as the Bastogne War Museum. Focusing (naturally) on the Battle of the Bulge, it immediately became one of Belgium's most enthralling history museums. The audioguide is obligatory, and it does most of the work. As you walk around to various exhibits, reading to your heart's content, the earphones tell a story that switches between four different perspectives -- four characters who were "there." Besides the obligatory American paratrooper there is a Nazi German officer, a local school boy, and a young teacher who has collaborated with the Resistance. Video screens stationed around the museum add depth, replaying interviews with locals as well as German and American veterans who remember. The interviews themselves are a treasure. The story reaches an emotional climax when the characters' stories intersect in a recreated Bastogne estaminet -- or rather, in its cellar. The seats for museum visitors are wooden café chairs with tables; all that's missing is a cool glass of beer (though there are plenty of opportunities for that in Bastogne afterward). Old-fashioned signs for Orval hang on the walls, though I doubt they're period-accurate. No harm done, since Orval's style is timeless. 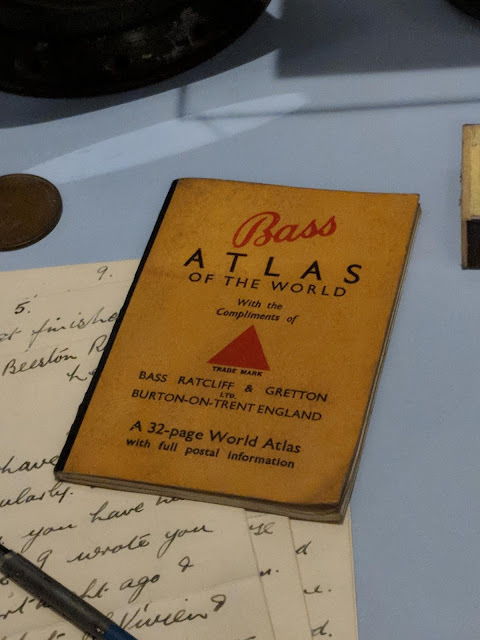 Other beer artifacts spotted in the collection: a small printed world atlas for British soldiers, provided by Bass and with its familiar logo on the front; a large German beer bottle whose molded letters are hard to read, but appears to be from a brewery in Koblenz; and those familiar old bottles of Fort Pitt. About that beer ration: I'm sure it was welcome, but perhaps not the godsend we might imagine -- not for soldiers in the European theater, anyway. Anecdotally, US troops had a taste for stronger stuff and found plenty of it in France, Belgium, the Netherlands and Germany -- cellars and shops full of wine, cognac, schnapps. At times the locals shared it freely; more often it was simply taken. One of the surprising things -- or perhaps not so surprising, all things considered -- about World War II anecdotes from US soldiers is how often they were drunk. Outside the museum, a "screaming eagle" sculpture honors the 101st Airborne, donated by the "city and citizens of Bastogne." It appears poised to drink from a helmet -- based on the story of a paratrooper who comforted his wounded buddy by filling his own helmet with beer (twice) from a local tavern. In recent years a sweet, strong brown ale named Airborne, brewed at Bouillon, has taken over the cafés of Bastogne. 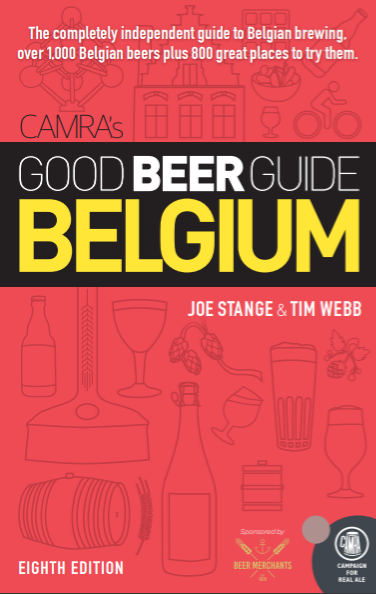 The deal is you drink it from a ceramic beer helmet -- the sort of gimmickry at which Belgium excels. The beer itself is no showstopper but it doesn't need to be. Think of all the old-timers who come and give it a go -- plenty of American tourists visit Bastogne, for obvious reasons, and they still include a few veterans. They're unlikely to forget the experience.